1.Inner packing: Colorized BOX with PE Foam 25.3*6.3*18cm a set. 2.Outer carton: 432*418*520mm carton, 28 boxes each carton; 500*480*360mm carton, 30 boxes each carton. Much safer for night driving. 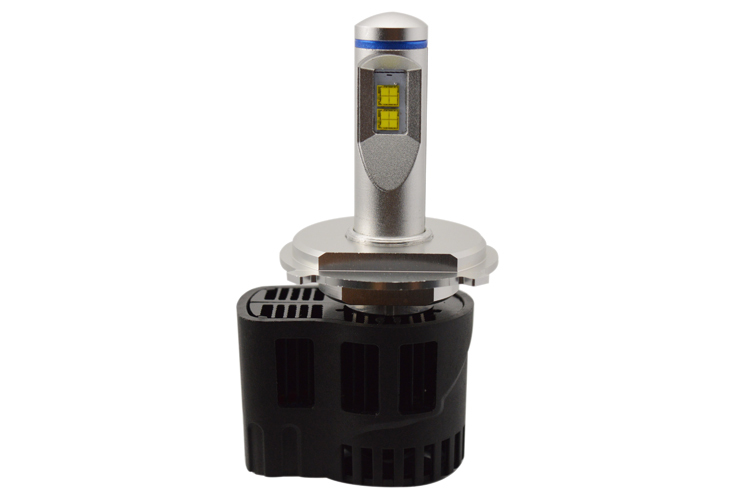 The structure, size and installation are similar to traditional halogen lamp. Internal fan protection device ensures the light can still work while the fan is broken. 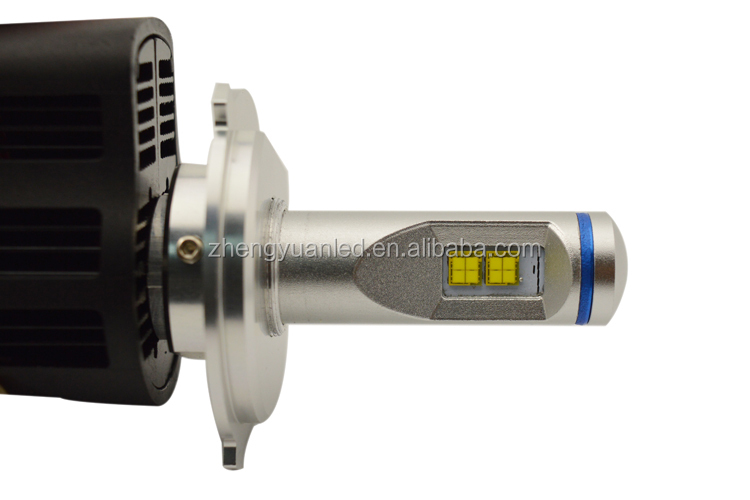 The focuslength of bulb can be adjusted front to back freely. 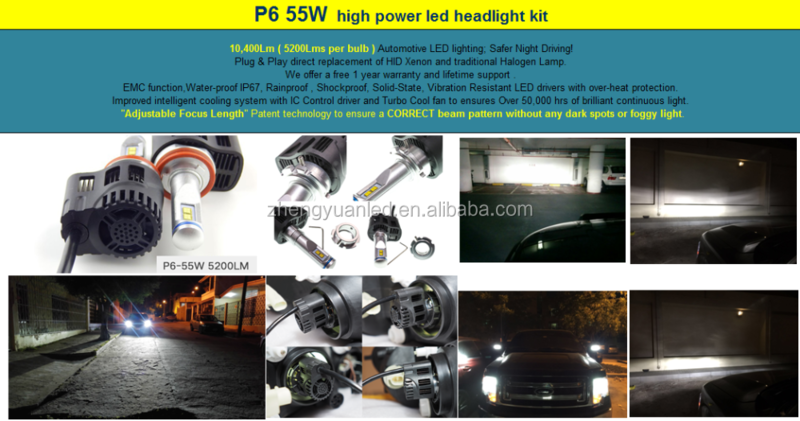 which makes P6 suitable for different cars, reach international light distribution requirement and get perfect lighting pattern. 3. Give new free replacement in next order. 1. Is it really bright enough? Yes! It's real original Lumileds MZ LED, patented heat dissipation technology, which is able to bring you max luminance: 5200LM/pc . 2. Is it possible to send free samples to me? Yes! There are 10 lucky ones per month. As long as your inquiry is sent on Alibaba, you’re likely to get a free sample. Welcome to have a try. 3. How can I find the model of my car use? 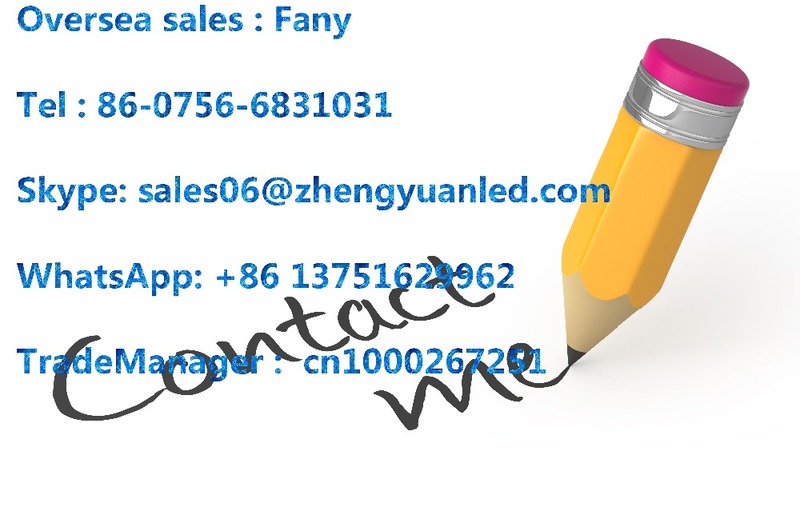 Just send inquiry with your car information, So glad to help you. 4. How about the CANBUS and flickering? Most of the cars are ok to install headlight and no flash. 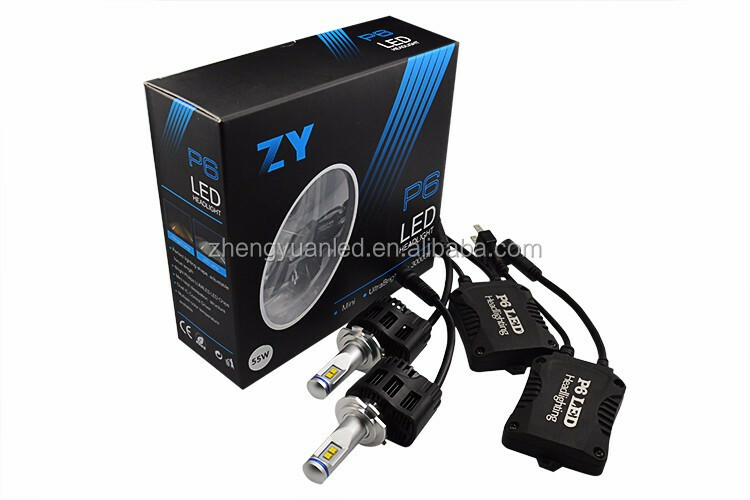 If some brand cars appear error and flickering when installed, here is a good solution we can offer, just do not hesitate to contact us if need. 5. Do I need to send the defective products back to you for warranty? 6. How long does it take time to produce? We can provide high-efficiency operation and production, 1-3 working days are possible to finish your order if raw materials are in stock. 7. Can I make my logo on the bulbs and driver? Yes! Kindly send us your logo information by email, and tell us the position you need to make logo. 8. Can I visit your factory? Yes! 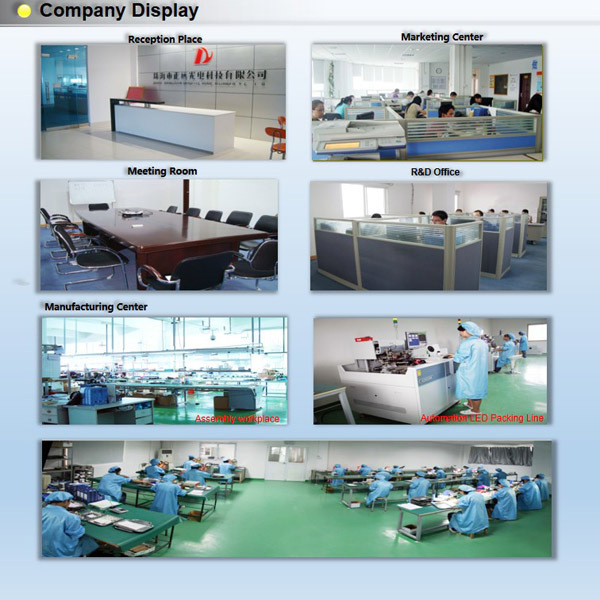 Totally welcome to our factory. Address: 4/F, Building A, No. 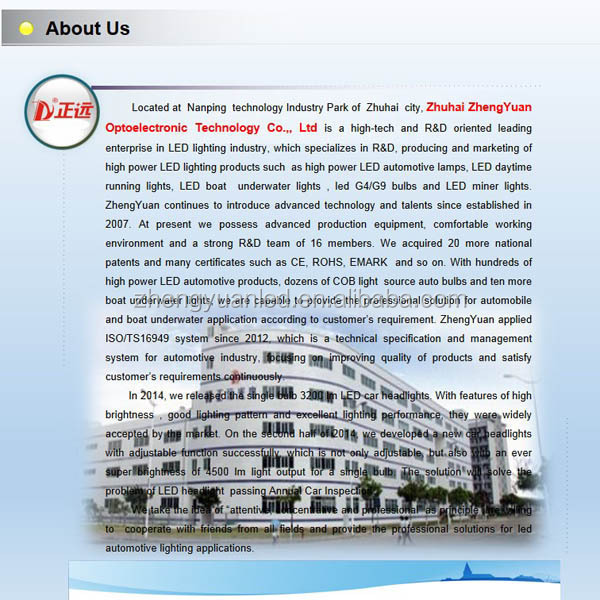 5, Pingxi 7th Road, Nanping Technology Industry Park, ZhuHai, GuangDong, China. 9. How much is the shipping charge? This depends on the size and weight of your delivery and the method of shipping. If you want to know the shipping charges, just let us know the detailed information such as the post code and quantity ,your favorable method of shipping (by air or by sea ) and your designated port or airport.